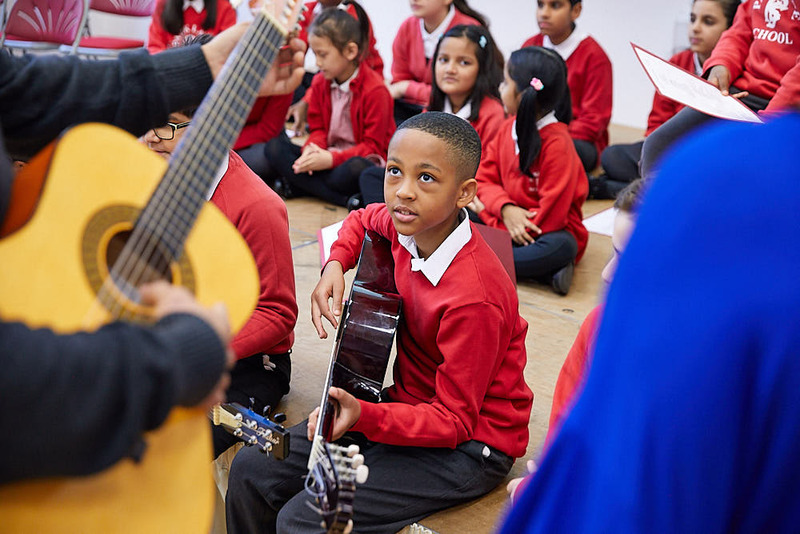 At Park Lane Primary School, Wembley, music has become a significant part of the curriculum with an importance placed on listening to different genres of music, including classical. 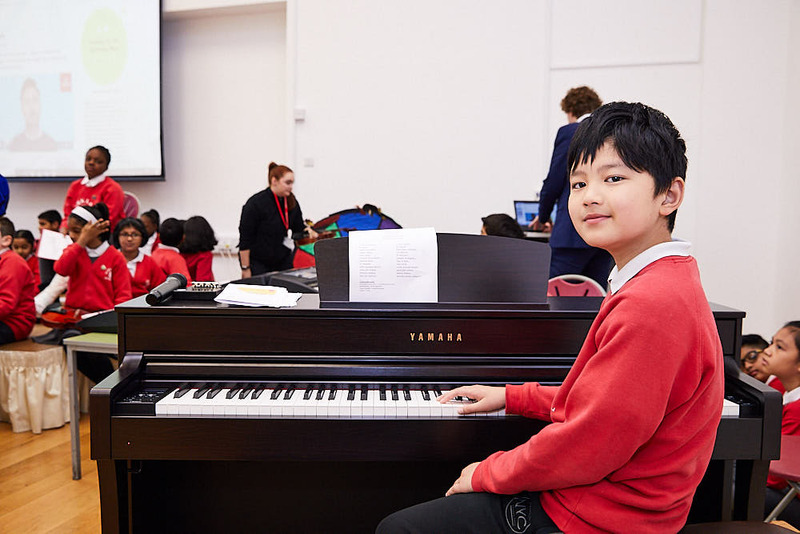 Thanks to the ABRSM Classical 100 resource, we’ve seen an increase in not just confidence, but also progression in the children’s ability and overall enjoyment of classical music, with continued interest for music tuition and choir participation. Growing up in Hungary, music was an important aspect of my life; my mother was a teacher and several family members’ professional musicians. I knew early on that I wanted to teach music. Working at Park Lane Primary School, for the last two years I have focused on developing a more comprehensive singing based curriculum, in the form of weekly lessons, and the introduction of musical instruments, including recorder, ukulele, glockenspiel and ethnic percussion instruments such as African drums. Wanting to expand the range of musical genres the children listen to, I signed up to Classical 100 via the ABRSM mailing list. I’ve found it to be a wonderful resource which has allowed me to introduce and immerse the children into the best pieces of classical music. Classical 100 is a free online resource for primary schools in the UK, housing 100 great pieces of classical music and 100 musical challenges which teachers can draw upon in lessons, school assemblies and other school activities. It was set up by the Association Board of the Royal Schools of Music (ABRSM), in collaboration with Classic FM and Decca Classics and developed by industry experts with a wealth of primary teaching knowledge and professional experience compiling syllabuses and other education materials. It has bene rigorously tested by a broad community of teachers, music services and music education experts – and is supported by the Department for Education. In May this year, the ABRSM set a challenge for all schools to submit an original idea for a musical activity to support Carl Orff’s ‘O Fortuna’ from Carmina Burana. With the winning entry receiving a Yamaha Clavinova CLP-635R digital piano and listed as the 100th challenge in the collection; available to all schools to use as part of lesson plans. My entry to the competition was inspired from a previous lesson plan I developed some years earlier which entailed using random dice throws to pick notes that the children had to then play. I enjoyed the dynamics of the game and the children responded well to the playfulness of the exercise. I’m a firm believer that if you let the children take charge, you’ll always be overwhelmed by their creativity. With the new challenge, the randomness of luck or fortune using the pentatonic scale lends itself because it works well with the rest of the tune, whatever has been picked. The randomness is an extension of the classic piece itself where fortune or not can, be varied. Classical 100 is a treasure chest of resource and really allows you to dip in and dip out as required to spice up your music lessons; the way that classical music is presented really engages the children effectively. I never expected to win the competition, rather I really enjoyed planning the lesson and delivering the material. To win the digital piano is an absolute delight and will be a prominent feature during school musical assembles and concerts.